August 29, 2012 By: Andy Mansell Category: DISCUSS, Where Do I Start? Is Peanuts the greatest comic strip of all time? It is hard to say for certain since there have been so many classics that have run throughout our lifetimes and and the lifetimes of our parents (and grandparents) before us. Calvin and Hobbes, Pogo, Popeye and Wash Tubbs/Captain Easy immediately come to mind. 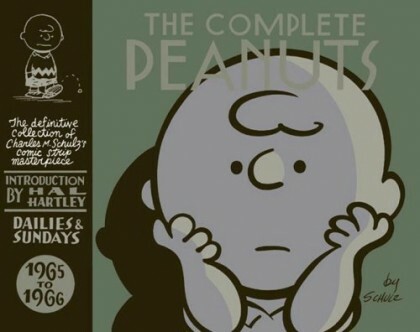 They are all masterpieces of the comic strip form–timeless, inspiring and entertaining…but do any of these (along with dozens I neglected to mention) have the true emotional pull and the personal connection we have all felt at one time with Charles Schulz masterpiece featuring Charlie Brown and the gang? Is there any visual ICON from the past 50 years more universally familiar than Snoopy?